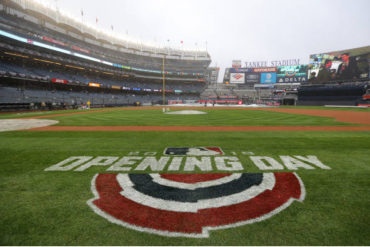 There have been a lot of big stories following the 2018 Yankees. Gleyber Torres and Miguel Andujar have come up from the farm system to provide the Yankees with two cornerstone infielders. Giancarlo Stanton has supplanted himself in the lineup and has proved to be a solid middle of the order bat. Didi Gregorius has proven again that he is one of the top shortstops in the game. 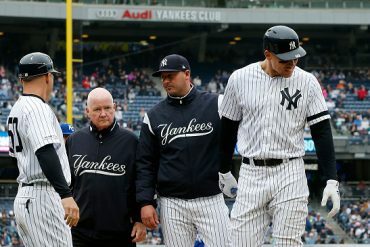 There are so many things happening, and somehow the Yankees tallest player has flown under the radar. 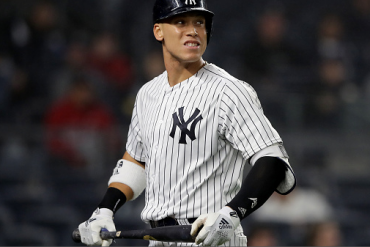 No, I’m not talking about Aaron Judge. I’m talking about Dellin Betances. 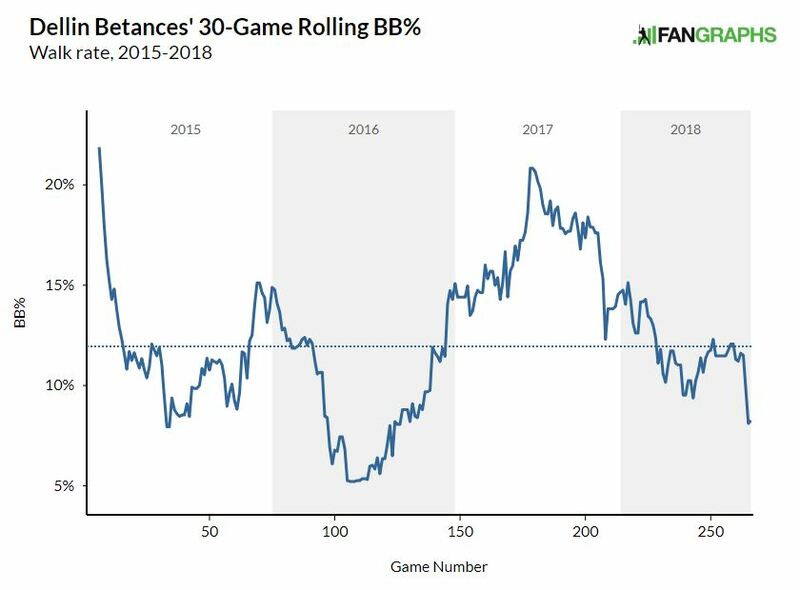 Although Betances finished with a respectable 2.87 ERA last season, he was very inconsistent and at times the wheels would fall off in his outings. He would get wild, walk batters, or just lose the plate entirely. It was extremely frustrating to watch, especially since we have witnessed his dominance in the past. 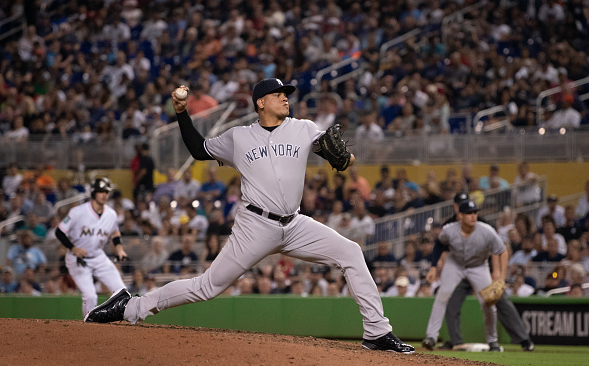 One thing that got Betances into trouble last year was his predictability. 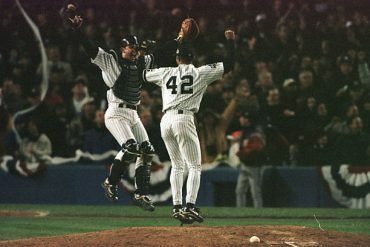 When he faced a jam, or needed to throw a strike, he always went to his curveball. Hitters started to sit on this pitch and it was less effective as a result. 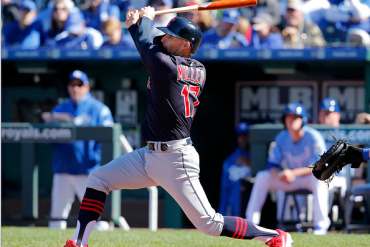 Last season, hitters hit .286 on his curveball and slugged .429 on the pitch. This season, those marks are .179 and .231 respectively. The improvement in those numbers cannot be overstated. It’s the difference between an above average hitter, and a pitcher at the plate. 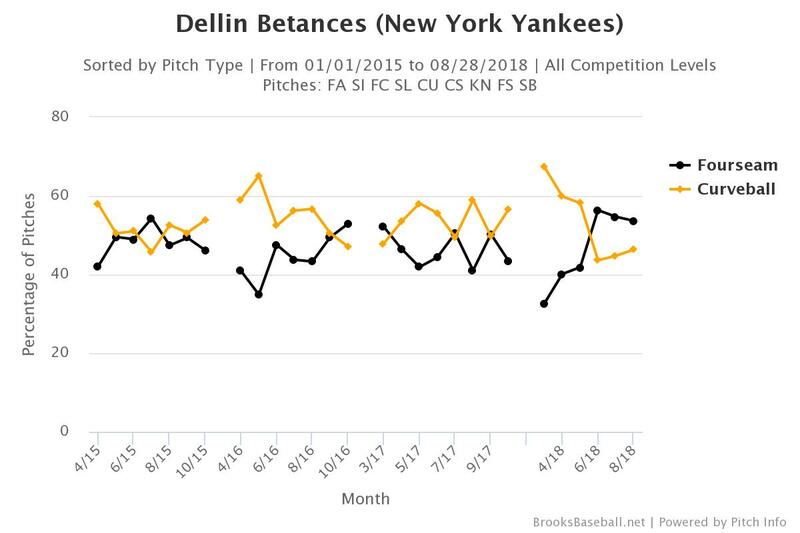 Since June, Betances has been throwing his fastball more than he ever has in his career. This helps to set up his devastating breaking ball. See below for a graph of his pitch selection over the years. As it stands today, Betances has thrown 53.2 innings with a 2.14 ERA, and nearly identical 2.15 FIP. He has amassed 1.7 WAR, which is good for fifth among AL relievers, just behind Chapman. 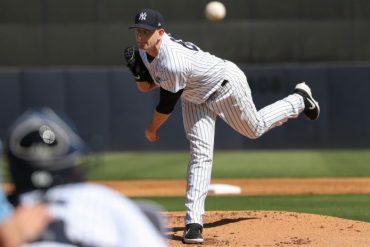 Especially at a time when Chapman’s knee is barking, Dellin could be a huge factor down the stretch and hopefully into the playoffs for this Yankee team.